The global movement for the defense of children in Palestine said that the Israeli Occupation Forces (IOF) are still using excessive force against the Palestinian children including firing live bullets at them. shot by settlers in Silwan town in Occupied Jerusalem. heinous crimes, according to the statement. victims were posing such threats when targeted. his right lung and damages in his ribs and chest muscles. 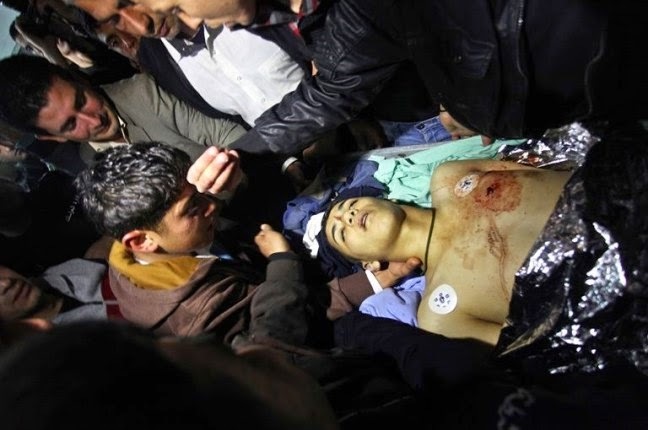 Hmidat, 16, who was shot in the face.